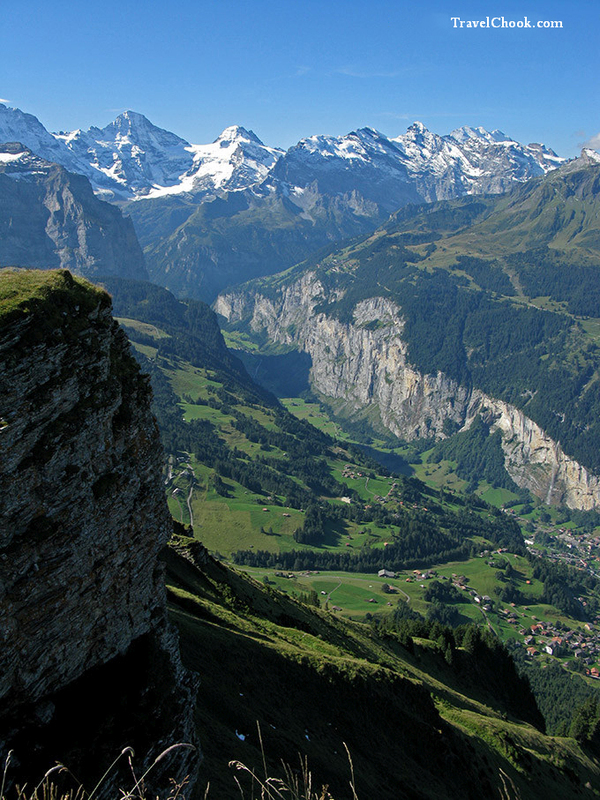 Nothing prepared me for the magnificence of the Bernese Oberland. 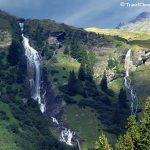 The country side around Grindelwald is absolutely spectacular with walking trails that will make you weep with joy, they are so beautiful. 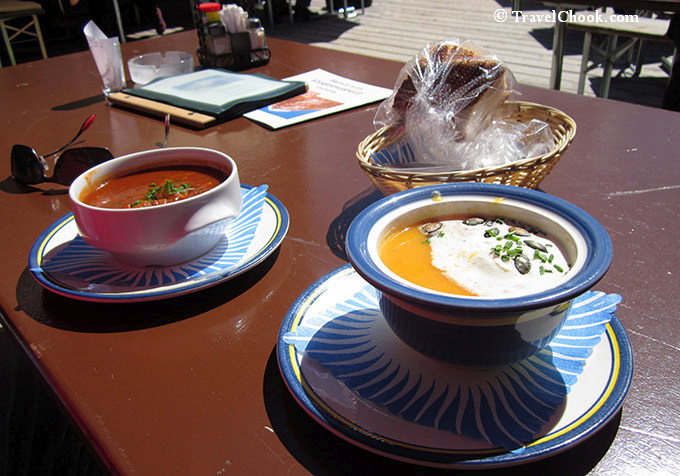 Three nights in Grindelwald was enough to leave me begging for more of this part of the world. 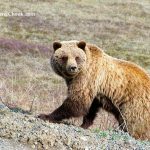 I had seen books and photos, but the reality of hiking in this region far surpassed even the best pictures. A photo cannot capture the fact that you are completely surrounded by incredible mountains. 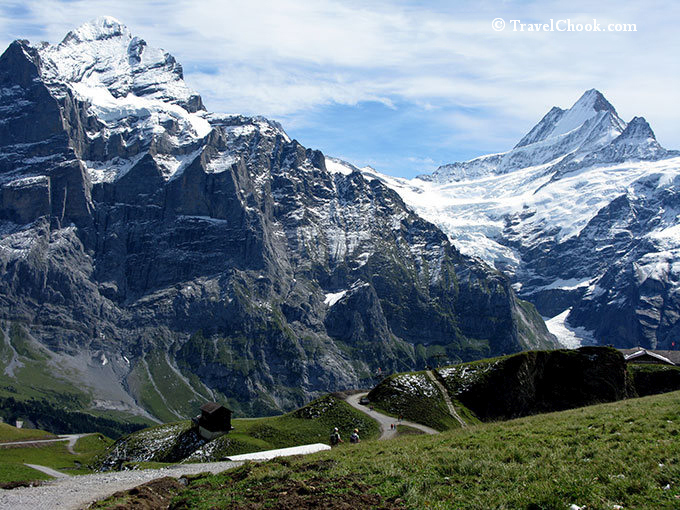 There are so many easy and stunning hikes and walking trails in Grindelwald, you may never want to leave. It is my favourite place in the whole world. The train journey itself from Lucerne to Grindelwald was dazzlingly picturesque, passing tiny dreamy lakeside towns such as Lungern with its shimmering emerald lake. I Just love Swiss trains. 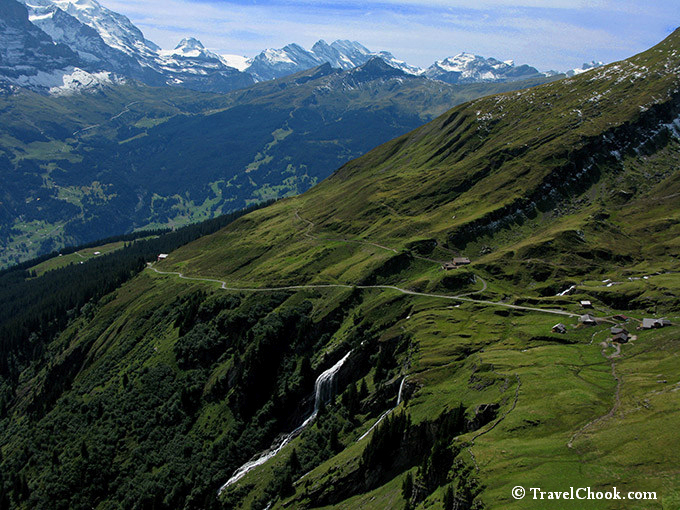 As the train pulls into Grindelwald, the dramatic scenery that surrounded the village itself is incredible. 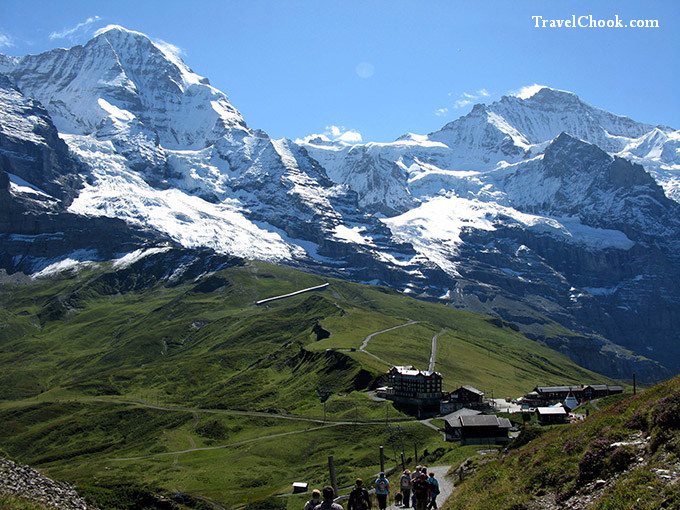 Grindelwald village is completely framed by huge magnificent snow capped mountains. The mountains are more spectacular than any picture I’d seen of them. We checked into the Hotel Derby right at the train station (sure makes life easy with suitcases) which turns out to be a lovely hotel, perfect for our needs. You can sign up for half board which we did – breakfast and a five course dinner served every day. As 11 am is too early to check in, the hotel offers to keep our luggage while we explore this beautiful area. 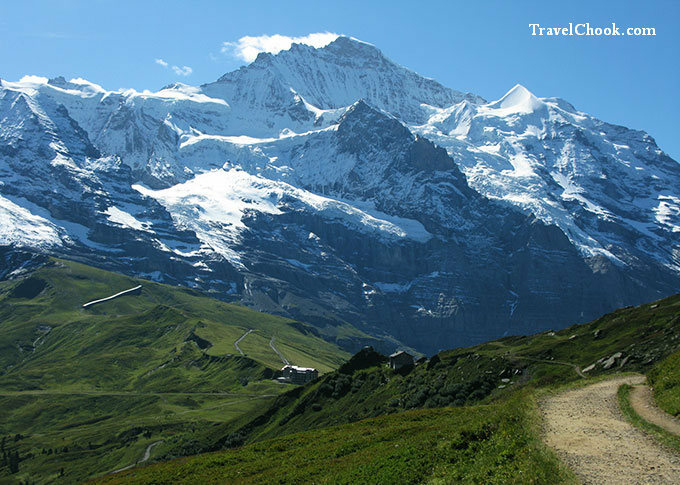 The village of Grindelwald itself is located high in the alps against a backdrop of huge snow capped mountains -very dramatic scenery. There are more shops and restaurants than I expected. That afternoon, we walk through the middle of town up a little hill to where the First gondola departs. The Swiss Travel Pass gives us nice big discounts. 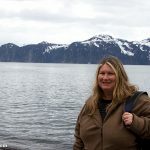 The helpful lady at our hotel suggested the Lake Bachalpsee hike as it is scenic and easy. The hike starts from First gondola. It is a few minutes walk up the road to get to the First Gondola. From there, you take the gondola up the mountain to First where a variety of hiking trails stream off in every direction. Today we hike to Lake Bachalpsee. The hike should not take the best part of the day, but stopping constantly to marvel disbelievingly at the mountains all around us drenched in sun and snow made it take a long time. 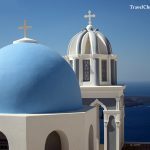 These are some of the most beautiful incredible sights and views I have ever seen in my life. Forgive me if I keep repeating myself, but I am in love with this place. It is fairytale swiss alps. 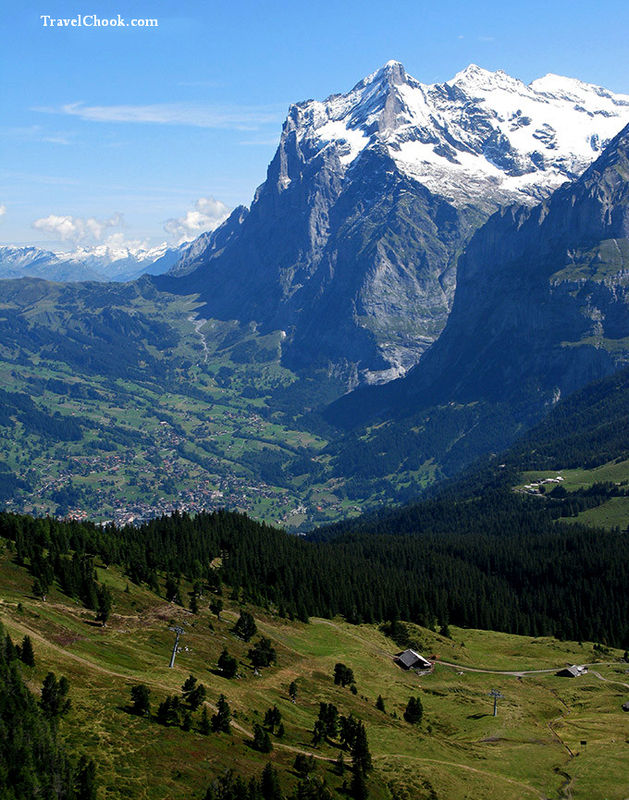 Hiking in Grindelwald is my wildest and best dreams coming true. Every turn of the trail exposes a scene even more mind boggling than the last-and just when I thought it really couldn’t get any better than this, it did! The whole walk from First to the lake, I felt as though I were dreaming, it is so beautiful from every direction. The scenery takes my breath away. 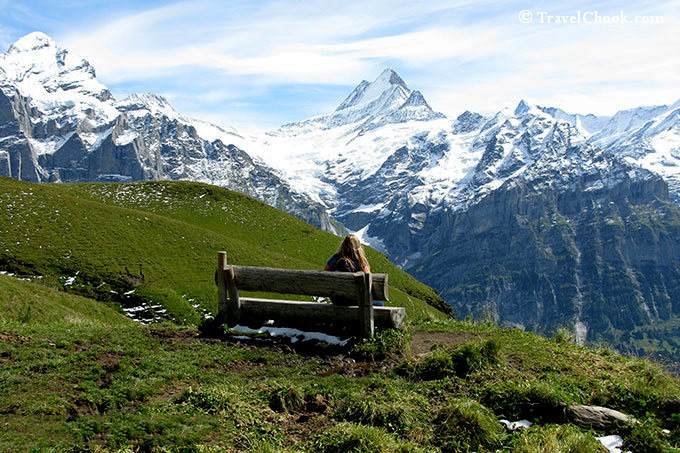 I loved the seat along the way – beautifully positioned to sit and contemplate our amazing planet. 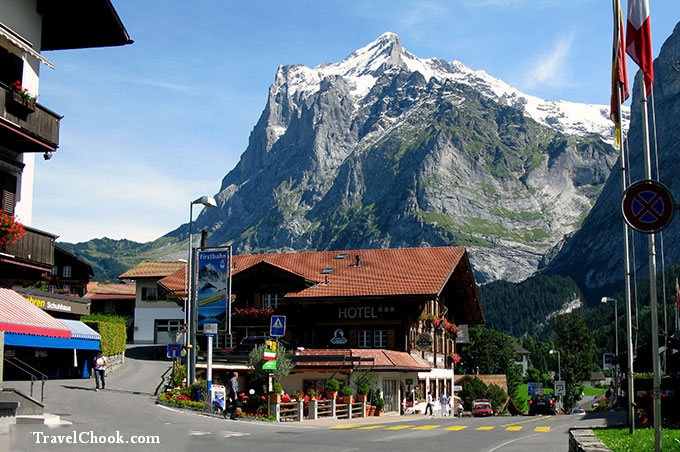 The Swiss Alps in this area really are storybook perfect. The trails in this area are already near the top of the mountain, so many of them are relatively flat with gentle slopes. It is just glorious to be in the presence of such magnificence. 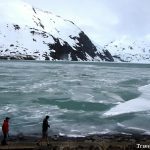 Once you reach Lake Bachalpsee nestled between mountain tops, the scenery is like something out of a magical fantasy book – see the first photo in this post. There is only one seat (seats 2 people and a picnic basket) overlooking the beautiful lake. It is perfectly situated to stare in awe at the view. After a while we notice all people had just vanished. The temperature began to drop and sun was fast disappearing. By fluke, we noticed a sign that said the last cable car down the mountain 5.30pm. It seemed impossible to get back in 40 mins, given it had taken us hours to get there. But then again, we had been stopping constantly to gawk in awe at the alps. We started moving real quick, running and walking, powering along, fueled by fear of a cold night on top of the mountain. We made the last car with two minutes to spare, utterly exhausted and relieved. So although the hike from First to Lake Bachalpsee can be done very quickly, you could spend eight hours on it just gazing in wonder at the scenery. As we were already on top of the mountain, there were lots of flat areas and some short slopes, but it is an easy short trail. I highly recommend allowing way more time than you think you’ll need. 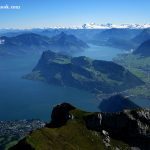 In the morning we caught the train to Grindelwald Grund (a few minutes away) and then got the scenic cable car to Mannlichen which is a hikers paradise. 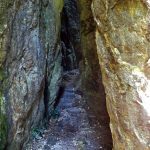 You can choose from a plethora of scenic hiking trails. 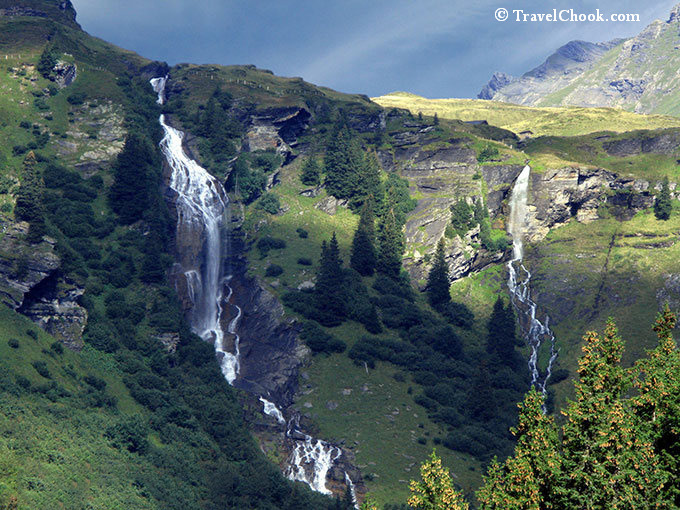 You can do the Panoramaweg trail from Mannlichen to Kleine Scheidegg, which is a short easy hike of about 1.5 hours. 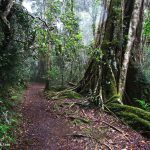 You are often walking on wide and somewhat flat trails which is what makes them so easy. 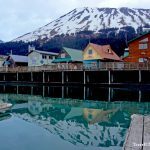 Lose yourself in views of snow capped mountains and lush greenery – I certainly did. 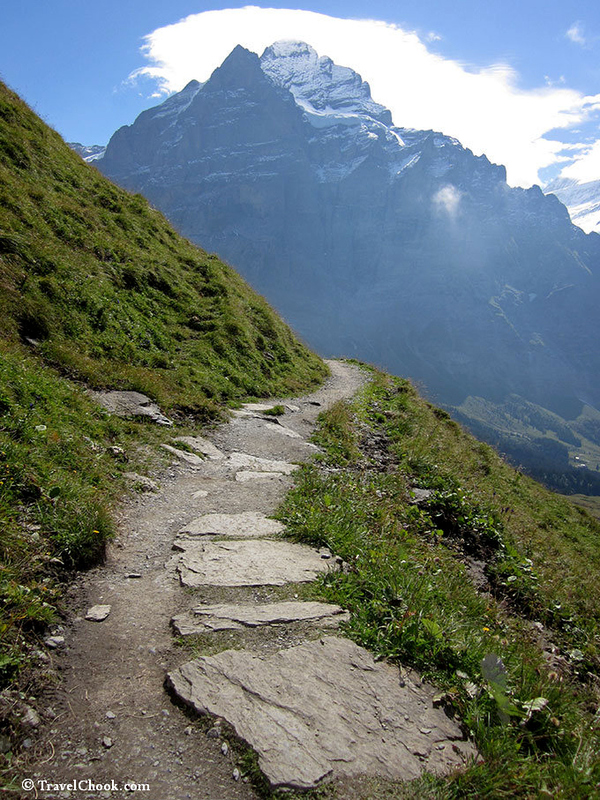 Loved this walking trail from Mannlichen to Kleine Scheidegg and the incredible mountain views, so beautiful. The views from lookouts near Mannlichen were breathtaking. 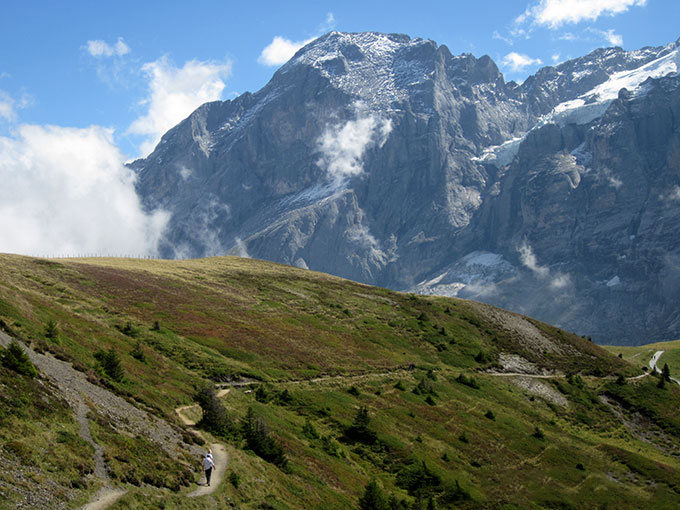 The Bernese Oberland has some of the most scenic hikes in Switzerland. I call it ‘extreme scenery’ and you will want more, more, more if you don’t die from being bowled over by beauty. There were a few benches at this point of the walking trail, and people were just sitting there staring at the views ‘above’, including me. It was hard to leave. 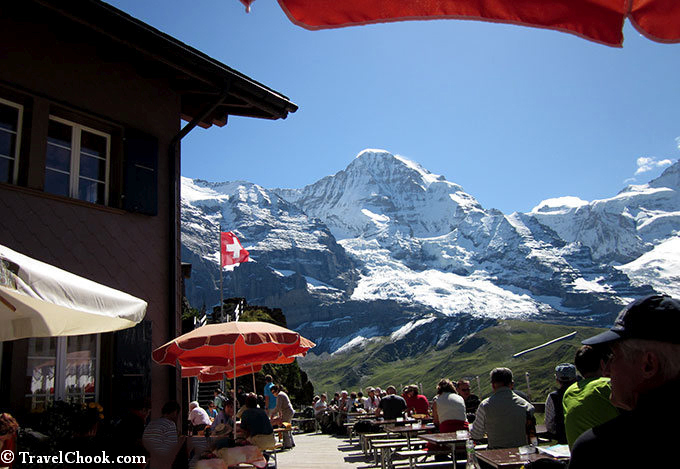 Once we reach the scenic Kleine Scheidegg, we figure we still have some time on our hands. Although it wasn’t in the plan, we buy tickets to Jungfraujoch. Being so close, it was hard to resist. We manage to fit in a hot chocolate before the train leaves to Jungfraujoch. 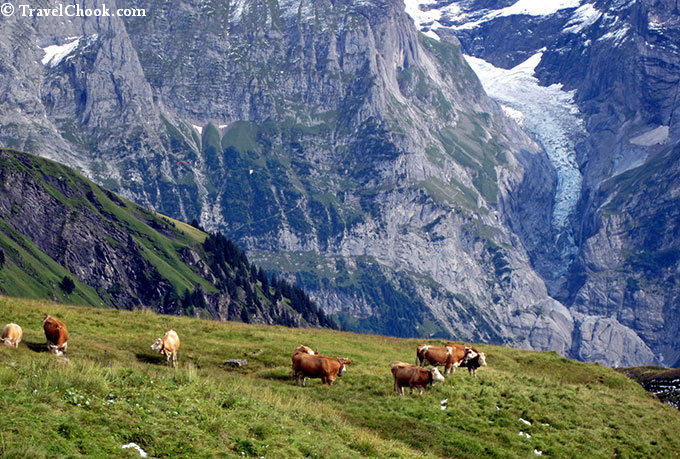 Check it out – I have a whole post on Jungfraujoch complete with pictures of the views and ice palace. We took the gondola up to First again, but this time we took a different route and went in the opposite direction to Grosse Scheidegg. Honestly, the views from up behind and near First simply have to be seen to be believed. 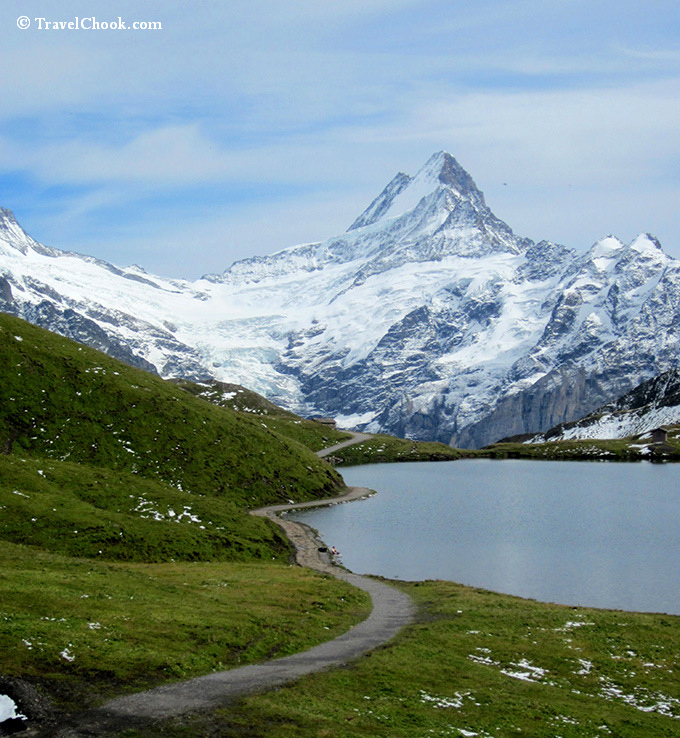 Hiking around Grindelwald has taken me beyond my wildest dreams. I don’t know how anything will ever compare again. 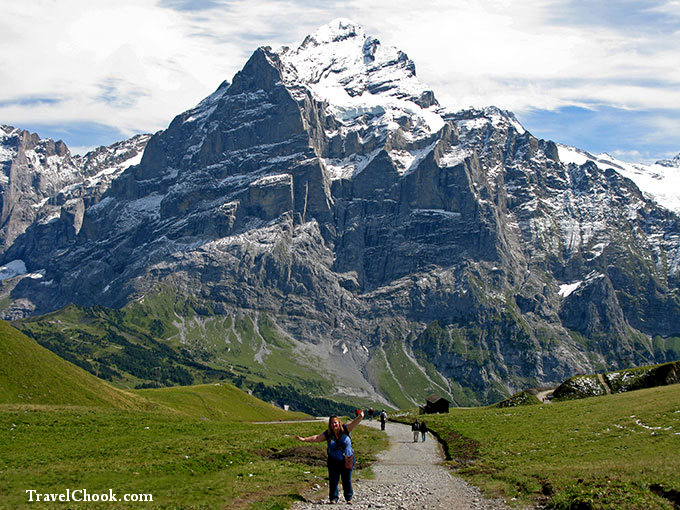 After we got to Grosse Scheidegg, the plan was to hike down the mountain to the Hotel Wetterhorn. We took a wrong turn and ended up on the other side of the mountain. It was hours before we found our way back to the right side. It was steep going down and the sun was blazing, and I’d left the sunscreen back at our hotel and forgotten my hat. I really screwed up royally when I packed my backpack that morning. Eventually, we made it back down to Grindelwald village though. Once back in the village, it was time to cool down at a cute cafe overlooking the beautiful mountain right up next to us, complete with cold drinks, ice-cream, and a tomato mozarella and pesto roll. Tonight was our third and final night in Grindelwald – and what an absolutely awesome three days it has been. This is without doubt, my favourite place in the world for mountain scenery and hiking trails. UPDATE: I have visited Grindelwald again, since this last trip and the village is unfortunately much more commercialised than it used to be. 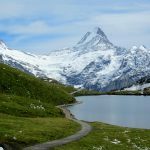 However, the surrounding hikes are still absolutely amazing and hard to beat, and Grindelwald offers the easiest access to them. 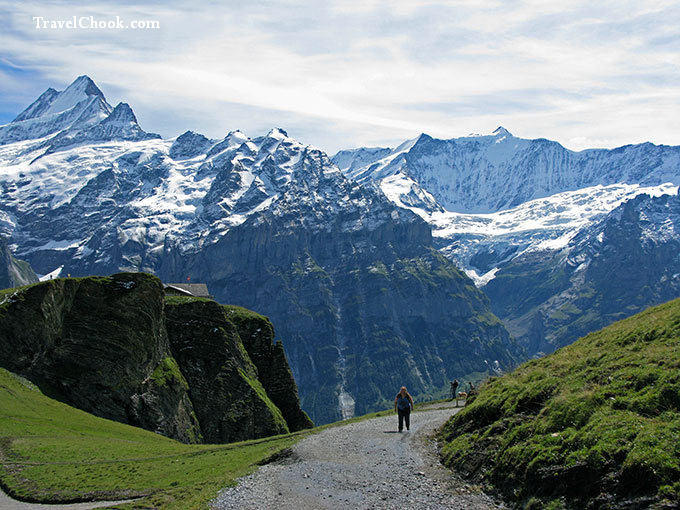 What is your favourite walk in Grindelwald or other parts of the Swiss Alps? Looks to be a great itinerary.